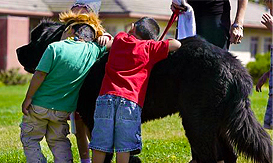 Your privacy is a primary concern at Casa Pacifica Centers for Children & Families, Inc. We are committed to ensuring the highest level of confidentiality and security, not just on our Web site, but in all of our interactions with patients or their families. When you provide your personal information to us (such as name, address, phone number, and e-mail address) we will not share this information with any third person or organization without your consent. We will maintain the confidentiality of your personal information and it will be used only to provide the information or services that you request from us. Additionally, internal policies and procedures help protect your privacy by limiting staff access to your personal information. When we ask for personal information, it is done with the goal of responding to the needs that you directly communicate to us. 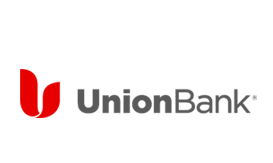 Our intention is to send e-mail only to persons or organizations that have chosen to receive such e-mails. You have the right, at any time, to stop receipt communications from us. If you have any questions about this notice, please contact our Compliance Officer at (805) 366-4003. 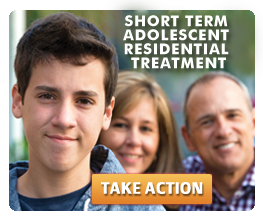 Casa Pacifica has programs that provide Residential, School-Based, and Community-Based treatment throughout Ventura and Santa Barbara Counties. All these entities, sites and locations follow the terms of this notice. In addition, these entities, sites and locations may share medical information with each other for treatment, payment or health care operations purposes described in this notice. We understand that information we maintain about you and your health is personal. We are committed to protecting mental health information about you. 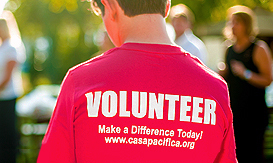 We create a record of the care and services you receive at Casa Pacifica. We need this record to provide you with quality care and to comply with certain legal requirements. This notice applies to all of your records of care generated by Casa Pacifica. This notice will tell you about the ways in which we may use and disclose health information about you. We also describe your rights and certain obligations we have regarding the use and disclosure of your mental health information. The following categories describe different ways that we use and disclose mental health information. For each category of uses or disclosures we will explain what we mean and try to give some examples. Not every use or disclosure in a category will be listed. However, all of the ways we are permitted to use and disclose information will fall within one of the categories. We may use mental health information about you to provide you with treatment or services. We may disclose clinical/medical information about you to clinicians, doctors, nurses, interns or other Casa Pacifica personnel who are involved in taking care of you at the hospital. For example, a psychiatrist treating you may need to know what medications you are currently taking, because the medications may affect what other medications may be prescribed for you. We may also disclose health information about you to people outside Casa Pacifica who may be involved in your treatment or as part of coordinating follow-up care. These people may include health care providers, community agencies, and family members. We may use and disclose clinical/medical information about you so that the treatment and services you receive at Casa Pacifica may be billed to and payment may be collected from you, the county, an insurance company, or a third party. For example, we may need to give information about treatment you received at Casa Pacifica to your health plan so it will pay us or reimburse you for the treatment. We may also tell your health plan about a treatment you are going to receive to obtain prior approval or to determine whether your plan will cover the treatment. We may use and disclose clinical/medical information about you for Casa Pacifica health care operations. These uses and disclosures are necessary to run the agency and make sure that all of our patients receive quality care. For example, we may use clinical/medical information to review our treatment and services and to evaluate the performance of our staff in caring for you. We may also combine clinical/medical information about many Casa Pacifica clients to decide what additional services we should offer, what services are not needed, and whether certain new treatments are effective. We may also disclose information to doctors, nurses, interns, clinicians, and other Casa Pacifica personnel for review and learning purposes. We may remove information that identifies you from this set of clinical/medical information so others may use it to study health care delivery without learning who our clients are. We may use and disclose clinical/medical information to contact you as a reminder that you have an appointment for treatment. We may use and disclose clinical/medical information to tell you about or to recommend possible treatment options or alternatives which may be of interest to you. We may use and disclose clinical/medical information to tell you about our services which may be of interest to you. While unlikely, it is possible on rare occasions, that Casa Pacifica may use your clinical/medical information in an effort to raise money for Casa Pacifica and its operations. You have the right to opt out of receiving fundraising communications. If you receive a fundraising communication, it will tell you how to opt out. We must receive your written authorization for any use or disclosure of protected health information for marketing. We will not release clinical/medical information about you to a friend or family member without your prior consent (or that of your legal guardian/parent if under 18). Without the authorized representative’s consent, we will not release your condition or the fact that you are at Casa Pacifica to your family and friends. We may disclose clinical/medical information to an entity assisting in disaster relief effort so that your family can be notified about your condition, status, and location. Under certain circumstances, we may use and disclose mental health information about you for research purposes. For example, a research project may involve comparing the health and recovery of all patients who received one treatment to those who received another, for the same condition. All research projects, however, are subject to a special approval process. This process evaluates a proposed research project and its use of clinical/medical information, trying to balance the research needs with patients’ need for privacy of their health information. Before we use or disclose clinical/health information for research, the project will have been approved through this research approval process. We will obtain authorized consent before having you participate in a program that is part of a research project. There are circumstances where services are provided to Casa Pacifica through third-party “business associates.” Casa Pacifica may disclose your protected health information to business associates so they can perform the services that Casa Pacifica has asked them to do. To protect your information, however, Casa Pacifica requires that these business associates follow the same rules (per HIPAA) that are set out in this notice and that they notify Casa Pacifica in the event of a breach of your unsecured protected health information. We may use and disclose clinical/medical information about you when necessary to prevent a serious threat to your health and safety, or the health and safety of the public or another person. Any disclosure, however, would only be to someone able to help prevent the threat. If you or your child are now, or in the future, a member of the armed forces, we may release clinical/medical information about you as required by military command authorities. We may also release clinical/medical information about foreign military personnel to the appropriate foreign military authority. We may release clinical/medical information about you for worker’s compensation or similar programs. These programs provide benefits for work-related injuries or illness. We may disclose mental health information to a health oversight agency for activities authorized by law. These oversight activities include, for example, audits, investigations, inspections, and licensure. These activities are necessary for the government to monitor the health care system, government programs and compliance with civil rights laws. If you are involved in a lawsuit or a dispute, we may disclose mental health information about you in response to a court or administrative order or your signed authorization that it is appropriate to do so. We may be required by law to release medical information to a coroner or medical examiner. If you are an inmate of a correctional institution or under the custody of a law enforcement official, we may release clinical/medical information about you to the correctional institution or law enforcement official. Disclosure may be made when required, as necessary to the administration of justice. We may disclose clinical/medical information about you to government law enforcement agencies as needed for the protection of federal and state elective constitutional officers and their families. You have the right to inspect and obtain a copy of clinical/medical information that may be used to make decisions about your care. Usually, this includes mental health and billing records. To inspect and obtain a copy of clinical and medical information that may be used to make decisions about you, you must submit your request in writing by completing a Casa Pacifica Authorization form (or a similar form.) You can obtain this form by contacting: Compliance Officer at 805-366-4003. The completed form must be submitted to Compliance Officer, Casa Pacifica, 1722 South Lewis Road, Camarillo, CA 93102. If you request a copy of the information, we may charge a fee for the costs of copying, mailing or other supplies associated with your request. We may deny your request in certain very limited circumstances. We may also ask you if a summary of your treatment could be provided to you in lieu of the complete record. If you are denied access to your information, you may request that the denial be reviewed. Another licensed health care professional chosen by Casa Pacifica will review your request and the denial. The person conducting the review will not be the person who denied your first request. W will comply with the outcome of the review. If you feel that clinical/medical information we have about you is incorrect or incomplete, you may ask us to amend the information. You have the right to request an amendment for as long as the information is kept by or for Casa Pacifica. To request an amendment, you must submit your request in writing to the Compliance Officer. Contact the Compliance Officer at (805) 366-4003. In addition, you must provide a reason that supports your request. Even if we deny your request for amendment, you have the right to submit a written addendum, not to exceed 250 words, with respect to any item or statement in your record you believe is incomplete or incorrect. If you clearly indicate in writing that you want the addendum to be made part of your clinical/medical record we will attach it to your records and include it whenever we make a disclosure of the item or statement you believe to be incomplete or incorrect. You have the right to request an “accounting of disclosures.” This is a list of the disclosures we made of mental health information about you other than our own uses for treatment, payment and health care operations (as those functions are described above), and with other exceptions pursuant to the law. To request this list or accounting of disclosures, you must submit your request in writing to Compliance Officer, Casa Pacifica, 1722 South Lewis Road, Camarillo, CA 93012. Your request must state a time period which may not be longer than six years and may not include dates before April 14, 2003. Your request should indicate in what form you want the list (for example, on paper, electronically). The first list you request within a 12 month period will be free. For additional lists, we may charge you for the costs of providing the list. We will notify you of the cost involved and you may choose to withdraw or modify your request at that time before any costs are incurred. You have the right and Casa Pacifica has the duty to notify you of a breach of your unsecured protected health information. A breach means the acquisition, access, use, or disclosure of your unsecured protected health information in a manner not permitted under HIPAA that compromises the security or privacy of your protected health information. You have the right to request a restriction or limitation on the mental health information we use or disclose about you for treatment, payment or health care operations. You also have the right to request a limit on the clinical/medical information we disclose about you to someone who is involved in your care or the payment for your care, like a family member or friend. For example, you could ask that we not use or disclose information about a type of therapy you had. We are not required to agree to your request, except to the extent that you request us to restrict disclosure to a health plan or insurer for payment or health care operations purposes if you, or someone else on your behalf (other than the health plan or insurer), has paid for the item or service out of pocket in full. If we do agree the restriction, we will comply with your request unless the information is needed to provide you emergency treatment. To request restrictions, you must make your request in writing to Compliance Officer, Casa Pacifica, 1722 South Lewis Road, Camarillo, CA 93012. In your request, you must tell us 1) what information you want to limit; 2) whether you want to limit our use, disclosure or both; and 3) to whom you want the limits to apply, for example, disclosures to your spouse. You have the right to request that we communicate with you about clinical/medical matters in a certain way or at a certain location. For example, you can ask that we only contact you at work or by mail. To request confidential communications, you must make your request in writing to Compliance Officer, Casa Pacifica, 1722 South Lewis Road, Camarillo, CA 93012.We will not ask you the reason for your request. We will accommodate all reasonable requests. Your request must specify how or where you wish to be contacted. You have the right to an electronic o paper copy of this notice. You may ask us to give you a copy of this notice at any time. Even if you have agreed to receive this notice electronically, you are still entitled to a paper copy of this notice. To obtain a paper copy of this notice you may write us at: Compliance Officer, Casa Pacifica, 1722 South Lewis Road, Camarillo, CA 93012. We reserve the right to change this notice. We reserve the right to make the revised or changed notice effective for clinical/medical information we already have about you as well as any information we receive in the future. We will post a copy of the current notice at Casa Pacifica sites. The notice will contain the effective date on the first page, in the top right-hand corner. In addition, each time you register at or are admitted to Casa Pacifica for treatment, we will offer you a copy of the current notice in effect. If you believe your privacy rights have been violated, you may file a complaint with Casa Pacifica or with the Secretary of the U.S. Department of Health and Human Services. To file a complaint with Casa Pacifica, contact: Compliance Officer, at (805) 366-4003. All complaints must be submitted in writing to Compliance Officer, Casa Pacifica, 1722 South Lewis Road, Camarillo, CA 93012. Other uses and disclosures of mental health information not covered by this notice or the laws that apply to us will be made only with your written permission. If you provide us permission to use or disclose clinical/medical information about you, you may revoke that permission, in writing, at any time. If you revoke your permission, this will stop any further use or disclosure of your clinical/medical information for the purposes covered by your written authorization, except if we have already acted in reliance on your permission. You understand that we are unable to take back any disclosures we have already made with your permission, and that we are required by law to retain our records of the care that we provided to you.